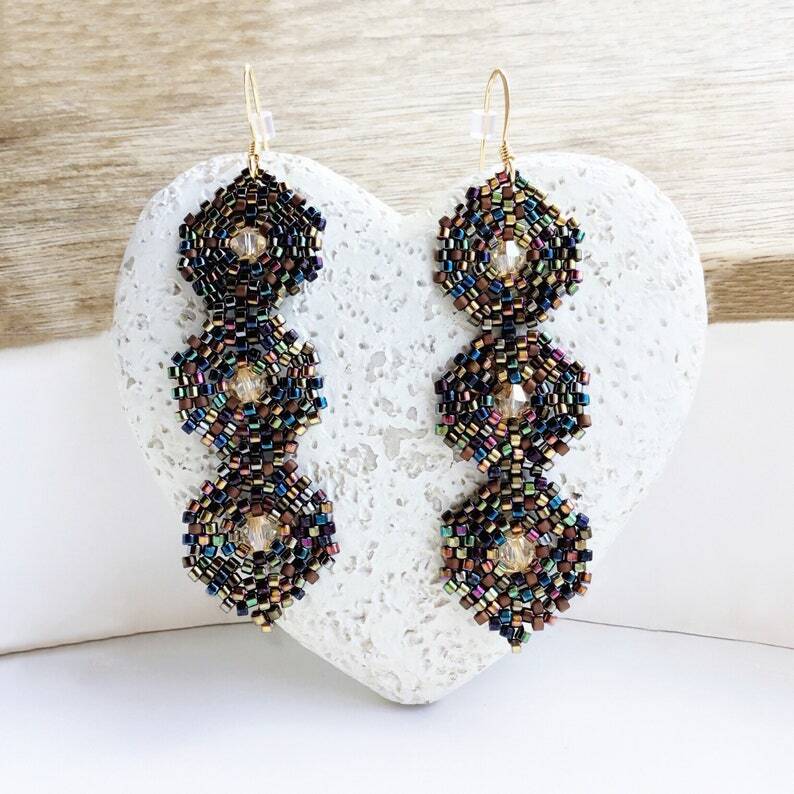 This listing features a pair of sparkle stylish earrings, made of multi metallic color glass seed beads and Swarovski crystal bicones. 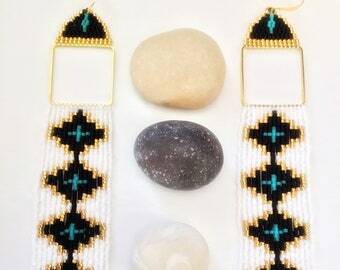 Fully handcrafted by me with love, care and inspiration, using premium quality Japanese glass seed beads and Swarovski bicones. 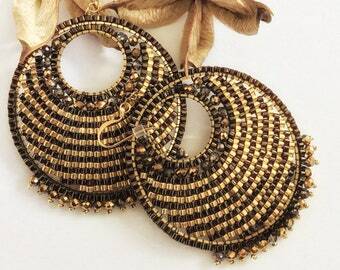 The metallic glass beads form circles, with Swarovski golden shadow crystals in the center. 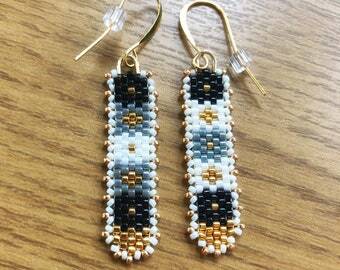 They form an elegant design, which hangs on gold plated ear wires. They come with silicon stoppers. 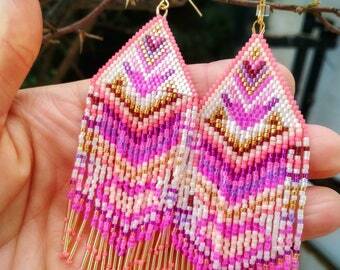 All beads used, capture the light beautifully and will draw attention to your radiant smile. 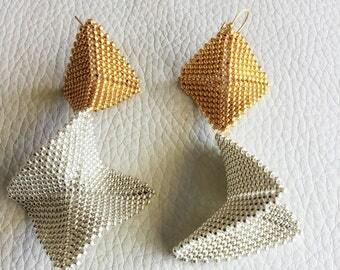 These elegant earrings are very lightweight; you can hardly feel them on. 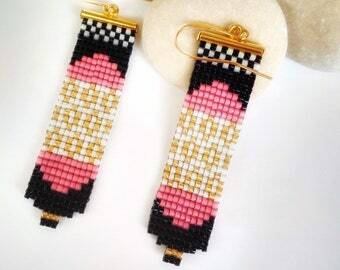 They can add glamour to a simple minimal outfit. 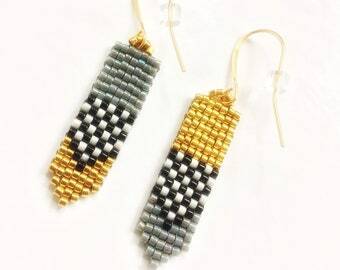 Spoil yourself just for once and get these sparkle earrings for yourself or simply gift them to your beloved ones, knowing that you have picked a really unique handmade present!